World marine and brackish waters aquaculture (or mariculture) production has grown tremendously over the last few decades, contributing significantly to the total seafood supply, economies and employment. Specifically, global seafood production from capture fisheries has reached its capacity, and a further increase in demand for seafood might only be met by marine aquaculture production. However, the sustainability of future marine aquaculture is a primary concern due to its ecological footprint. 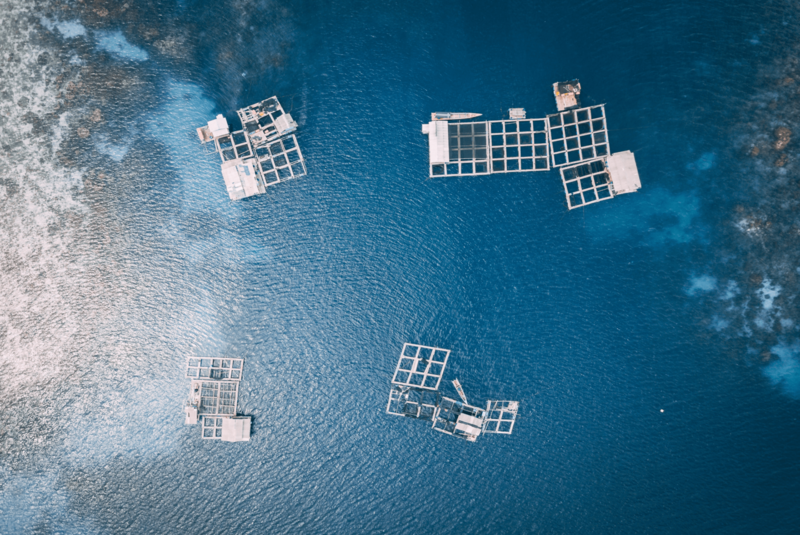 There is a need to identify policy options that would allow future marine aquaculture development that is ecologically, economically and socially sustainable. Marine aquaculture development is shaped by social, economic and psychological factors that determine consumer demand and preferences. The recent increase in the number of farmed marine species has been attributed to the growing demand for seafood in developed countries. Also, consumer preferences towards aquaculture products are shaped by changes in demographic characteristics, education, markets, advertising and marketing. Moreover, the growing demand for marine aquaculture products drives technological innovations to improve farm productivity, for example, through enhanced feed formulations and new antibiotics to increase feed and growth efficiency, and decrease mortality from diseases. Also, the increasing concerns about the environmental impacts of marine aquaculture have promoted the development of technology to improve contaminants control, feed efficiency, disease management, and to minimise farm animal escapes. For example, recirculating aquaculture system was developed to reduce environmental challenges in aquaculture and the development of integrated multi-trophic aquaculture (IMTA) system that recycles waste nutrients from higher trophic level species into the production of lower trophic level marine species. According to the Intergovernmental Panel on Climate Change (IPCC), “A scenario is a coherent internally consistent and plausible description of a possible future state of the world. It is not a forecast; rather, each scenario is one alternative image of how the future can unfold”. Scenarios describe futures possibilities for the driver of change in nature and its benefits. They gave us a “snapshot” of how the future might look under some specific considerations. This workshop will focus on developing comprehensive future outlooks for marine aquaculture This process requires a broad knowledge especially the past and present trends, as marine aquaculture is a complex sector. Such knowledge should be extensive enough to describe various components that would define the future. Specifically, we will use the shared socio-economic pathway commonly used in scenarios analysis for climate risk and adaptation assessment as a foundation for developing scenarios for marine aquaculture. Shared Socio-economic Pathways (SSPs) are developed to provide explorative scenarios of societal changes in climate change assessments. The SSP defined as reference pathways describing plausible alternative trends in the evolution of society and ecosystems over a century timescale. SSPs include socioeconomic and environmental conditions as affected by climate change and climate policy. SSPs are not climate projections, as they do not include the effect of climate change and not sector-specific. The development of sector-specific scenario pathways (extended SSPs) can facilitate the assessment of climate impacts, vulnerability and adaptation for particular sectors.